Trust. It is a word that carries a lot of weight. When someone says “Trust me”, it is not always easy to acquiesce. Especially if we do not know them well. Walking as the Bride in the Kingdom of God depends on trust. Yet how can we trust The Lord if we do not know Him? This “Walking”, describes a concept that I came across. It was revealed to me, through scripture, inspired teachers, but most exclusively from inspiration found in my study of the Book of Esther. My posts in 2014 will catch you up. It describes a set of actions or beauty treatments that will help you develop an intimate relationship with The Lord. If you know Him better, you will trust Him. More. 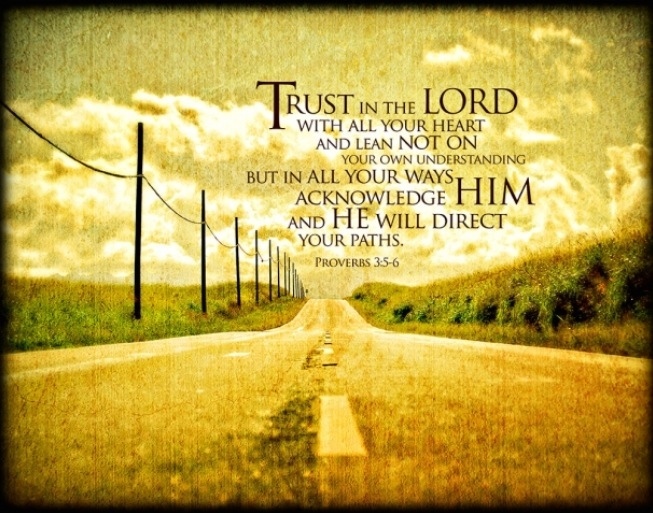 Many of us say we trust The Lord. However, if someone was to look closely at our lives, the trust is not clearly evident. We doubt. We question. We change our plans, all because we are only giving lip service to entrusting our lives to Him. I’m not preaching outside the lines here, I have my struggles. Nonetheless, the idea of “Walking as the Bride” is to help us know Him. It has improved my life so much and yet I have hopped off the Potter’s wheel from time to time (control issues, let’s be real). I return to my old ways of thinking; anxiety, self-doubt, etc. The Holy Spirit is present to remind us, if we are listening. The still small voice asks, “Do you trust The Lord”? I will say, “of course I do”! The response will be, “So why are you in bed eating a quart of ice cream at 2 am”? No, I do not hear voices! I pray you get what I mean. We all have our ways of dealing with stress or worry. I tend to eat. Too much! Since implementing these tenets, much of what I used to do , I do not do and there have been positive changes in many other areas of my life. Still, it is the “walking” that makes this work. It is active. It is a life practice. It is about a love relationship. Not to sound corny or to question your intelligence but God is a person. Not like you or I, certainly. I am just saying there is a Person to know. I will stop here. Lol! I am chuckling because I imagine there are some reading this who are humming the theme to the “Twilight Zone”. That’s okay too. If this is meant for you, you will get it. ← Unto us a child is born, unto us a son is given!